Fast Forward Group is still a proudly independent Removal & Storage company, we’ve been operating from a base in North London since 1979, successfully providing 1,000’s of customers with secure personal & highly efficient Moving & Storage services. Either for just Moves from & within London to wherever they want to go, or into a secure Storage Room for a short term or long term stay at our 24/7 secured storage site, or into our dedicated Archive facility. FFG understand that people in London expect & require a high Standard & Quality of Service. With over 35 years of experience we ensure all Staff are Fully Checked & Trained and we customize our Services to suit your personal & exact requirements, whenever possible, with Careful Movers and Secure Storage. As members of AIM – RHA – FSB we work to UK & European standards using best practice at all times, and we know how important it is to clients to have everything confirmed in writing for their peace of mind. For a successful Move or Store pre-planning not guess work is needed every time! Accurate Quotations for all of our services, with Assured Prices guaranteed for 12 months from the start of the contract. SECURE Storage – safeguarding & protecting your possessions 24/7. CAREFUL Movers – user friendly Packing Moving & Removal services. Experienced trained & insured – established in 1979 our staff & facilities use best practice at all times. Customer Focused Moving & Storage services, with Assured Prices for a Successful Home or Office Move, or a stay in our secure Storage facility. 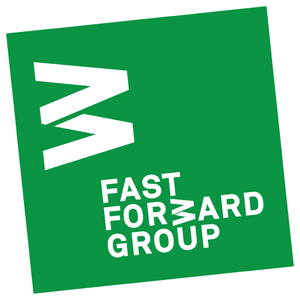 Fast Forward Group – Accurate Quotes with Assured Prices: Our prices & range of additional extra service values are very competitive when compared like for like for price & service content. FFG always aim to provide accurate quotes, with no hidden charges. Please check & compare our Assured Prices & Services, especially where an element of guesswork or a lack of knowledge might have been involved in another quote, or there are a multitude of confusing special offers etc. We completely respect the mutual confidentiality issues of our client relationships, so of course we never reveal the names & details of our customers or our account clients, amongst our valued customers are the Homes of many private individuals, the People In London who care about their possessions & want an experienced & quality service. Our unique Cubic Size & Space Estimator systems calculate the total amount of your contents for Storage. Our unique Cubic Size & Space Estimator systems calculate the total amount of your contents for Moving. Home Moving or Storage Quotation Visits: If you prefer us to visit for a Free Quote please contact us here by email to arrange a convenient time for us to visit, or FREE call us on 0800 45 49 53 during office hours to discuss your requirements.